A pair of bed, yachting, reading or whatever socks. 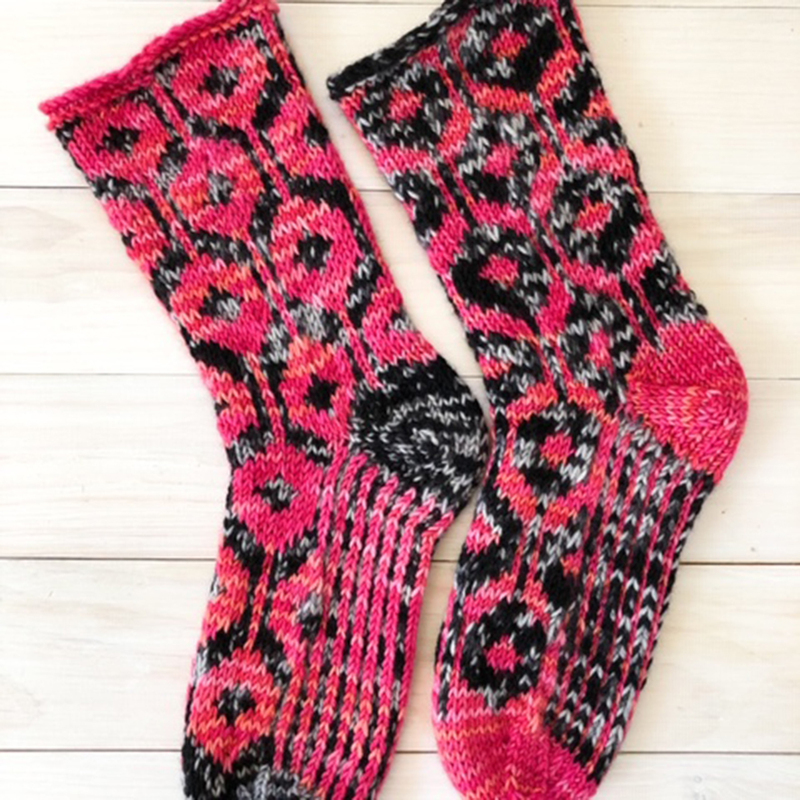 Avoid second sock syndrome with these same/not same colour work socks in Hand Maiden Casbah Plush. Knit with two contrasting hanks in a nod to a nautical buoy design. Shown in “Italian Rose” and “Inky” colourways.